Clark Mills designed the original Optimist Pram in 1947. His intention was to offer a simple boat that children could use to learn to sail and build themselves. We chose to name our version of the Optimist the "Club Racer" to reflect the original idea behind the design. 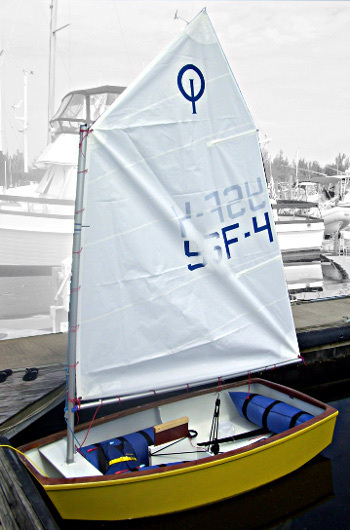 The Club Racer is 99% the same as the epoxy/wood version of the Optimist as described by the IODA standards, however it differs in that it is much easier to build and will be more durable, and last longer. Please Note: The Optimist Basket mold is not included in the kit price. 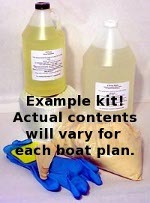 This item includes the CNC Cut Plywood Kit, and the MarinEpoxy/Fiberglass Kit for the Optimist. It does not include the Basket Mold Kit.